KUALA LUMPUR — Why was the Ayer Ganda, Gerik water treatment plant allowed to continue operations despite being told two months ago that arsenic pollution had been detected in the facility? This was the question posed by the National Water Service Commission (SPAN) to the Perak Water Board (LAP), whose actions over the matter were deemed “irresponsible” given the danger it poses. SPAN chairman Charles Santiago, in announcing an immediate directive to shut down the treatment plant, said the pollution was first detected by the Health Ministry on Jan 8. He said that on Jan 14, LAP was advised to address the issue, failing which, it should shut down the facility’s operations. It is learnt that LAP failed to upgrade the facility or find alternative water resources and allowed the treatment plant to continue operations. Santiago said arsenic poisoning symptoms include skin rashes, and is especially dangerous for pregnant women. “Arsenic poisoning is serious because you will not detect its effects now, but after two or five years later, it can cause cancer. “It is highly irresponsible for any water operator, after having known that there is a carcinogenic exposure (to consumers), to carry operations. That is totally unacceptable,” Charles told a media conference at the parliament lobby, here, today. Santiago said the plant, which produces 0.68 million litres of water daily, still had traces of arsenic pollution in February and March. “In January, the Health Ministry detected arsenic pollution during inspections. SPAN was subsequently informed of the matter. “Following a discussion, we sent a letter to LAP voicing our concerns and suggested that they (among others) shut down the water treatment plant. But LAP had a different view. “SPAN has sent a letter ordering them to shut down (the facility). No compromises. Although they (LAP) replied with a letter asking for flexibility and such, we did not accept it. “We have discussed with the minister (Water, Land and Natural Resources Minister Dr Xavier Jayakumar) yesterday and he endorsed the decision to shut down the facility,” said Santiago. The cause of the pollution was said to be a 100-year-old mine which releases arsenic following poor maintenance. Santiago said the SPAN management committee has asked the Health Ministry to carry out a health assessment impact on all 312 consumer accounts involving 1,500 residents. It has also asked the Agriculture and Agro-based Industries Ministry to check on riverine life including the fishes in Sungai Rui following arsenic pollution. Santiago said the water treatment plant would cease operation until the water is safe for consumption. SPAN is now probing the issue on every aspect, including the possibility of negligence. “This is the first (arsenic pollution). (If there’s negligence) we can take serious action. We did not only tell them to shut it down, we also gave them suggestions to look for other resources, such as underground water. Asked why LAP took more than two months to shut down the facility, Santiago replied: “You have to ask them. The SPAN enforcement team is already there carrying out detailed studies. On Perak Menteri Besar Datuk Seri Ahmad Faizal Azumu’s reported claim that the issue was “not serious”, Santiago said SPAN feels otherwise. The Perak government on Wednesday had instructed all logging activities along Sungai Rui in Gerik to be temporarily stopped, while mining activities must to be carried out under stringent restrictions. Faizal had said the suspension would be in effect until the state government received a conclusive report from a special task force ordered to identify the sources of pollution. 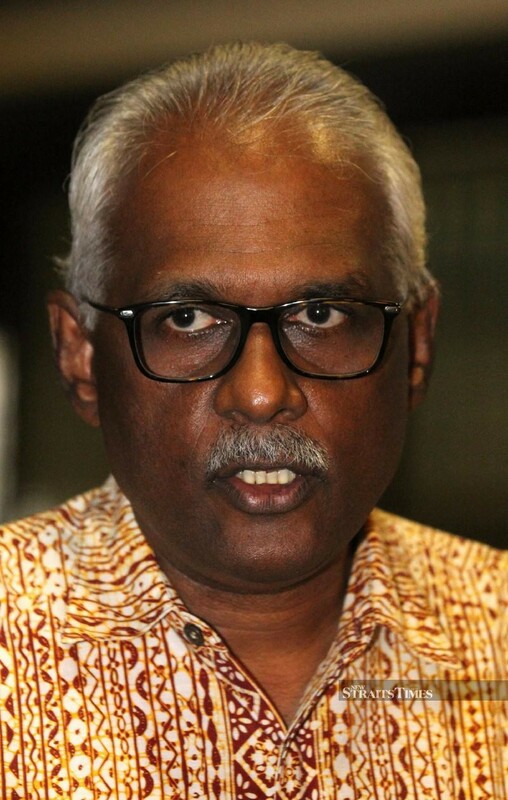 Last week, Perak education, technology, science and environmental committee chairman Dr Abdul Aziz Bari had said that based on recent tests by the Mineral and Geoscience Department, the contamination was believed to be due to high arsenic content. Faizal had subsequently ordered the department to monitor water quality, with samples taken and analysed twice a day.